I know a lot of ladies want to join Bible study groups especially at the New Year. In this article you will find free Bible Studies for the New Year and their links. I did a pretty good job digging and I hope you find what suits you. PS: If you’ve discovered a Bible Study group worth sharing please drop it in the comments. Why you need a Bible Study Group? Studying along with others encourages you to be accountable. It is not easy keeping to a study plan. I know life happens and we drop out on our resolution to complete weekly, monthly, or even yearly. You find friends who would share their faith journey and experiences alongside with their bible study. Remember, iron sharpens iron…but choose a good one ;). The Bible contains buried treasures that you unearth through Digging. How much of those do you have? The more you know the more you want to know. You can ask questions and gain more insight. It is ok to study right in the comfort of your home. If you feel led to join a group, prayerfully do so. ***You can Follow my Women Bible Study Board on Pinterest or bookmark this page as I continually add to this collection. A Word of Advice; As a Believer you are responsible for your Spiritual life. It is important you carefully study the Bible and ask the Holy Spirit to teach you the Word. As you go along with these Bible Studies, endeavour to be a ‘Berean Christian’. 100 Days with Christ by Lisa Apello. Lisa is soulful and deep writer. This widow and mama to 7 kiddos knows what it means to go through tough times. You want deep inspirations loaded with scriptures especially on those hard days, this will help. Women of the Bible by Finding Joy in Everyday. This is a series study on some women in the Bible. The first instalment is begun already. Be sure to join in HERE if you are interested. Courtney at Women Living Well runs the Good Morning Girls and I am privileged to be an International leader. Currently, we are studying the Book of 1 Samuel. You can join the gals on facebook HERE. 90 Day Chronological Bible Reading by Kristy @ Narrow-minded Woman. This study comes with a free Bible Reading Plan too. Kristy is thick into theology, discernment, apologetics and church history. You will find a lot of that here. Living With Purpose by Micah Maddox. Micah is a gentle and spirited blogger who shares her faith journey and encourages other women too. Leigh Ann @ Intentional by Grace offers a free reading Bible Plan available via subscription. Free Women Bible Studies By Barb Raveling . Barb has everything from weight loss study to blogging and ministry study, to New Year Study, Renewing the mind study etc. I think you will find interesting studies here. As I said it depends on what you want ok? Looking for Entrepreneur Bible Study for women? You have something for you by Sunu Philip @ Clothed with Scarlet. This is available on subscription. Bible Studies by Time Warp Wife. Darlene has a lot. You will find links and free print outs too. But if you want PDF copies of Esther and Ruth visit HERE. Alexis Waid @ Spiritually hungry has a 31 Day New year Resolution Challenge loaded with daily scriptures, weekly discipline etc. 31 Days of Proverbs journal and reading plan is available on subscription by my friend Dawn Klinge. 31 Days of Rekindling Joy Series by Mandy @ Women of Worship. There is a post on joy for everyday through out this month of January. How nice! Nora’s 2015 One Year Bible Reading Plan is still available for download and very relevant. Abide with Jesus Series by Tammy@Grace in in the everyday. This is includes a fasting program for the New Year. Lisa@Conforming to the Truth has a host of Bible Studies for Women. I have been following her studies for a little over a year. If you are a Word’s girl like me J You will love it here too. Simple Scripture Study Plan with Kayse Pratt. All materials are available on subscription. **Rosilind has got something for you moms and Kids. Study and Prayers through the Book of Ephesians. **Thanks Heather for sending this links in. The Hart family have a collection of Women Bible Studies ranging from the beautitudes, fruit of the spirit, armor of God etc. You will definately see something you want. Check them out HERE . **Thank you Annette. Annette from a A Net In time has a cocktail of powerful devotionals. I checked them out. 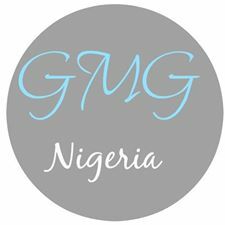 Remember to stop by at GMG Nigeria on facebook. Did I leave out any? Please let me if you are organising or participating in any Bible Study this New year. « Unlocking the Year With The Power of The Word. You’ve put together a very helpful resource here. Thank you. Visiting from Inspire Me Monday. This is a great list. I agree, we are responsible for our own spiritual growth and being in the Word and studying is of utmost importance. Glad you could share this list! What a great resource, thanks for sharing. This is a wonderful resource! I visit some of these spaces and I have found new ones to go to. Thank you for adding my “Abiding Series!” May God bless you abundantly in this New Year!! I have added this to the list ? She reads Truth is awesome! Was looking for free Study plans for women! I’m not sure their study is free! I’d love to know about that. Hi Ifeoma. She Reads Truth is free if you use the plans on the website. There is only a charge if you use the app. Wow! What a great list of free bible studies. Thank you for putting them together for us ! Thanks for sharing this great roundup of resources!! So many different ways to get into God’s Word this year. Great resource, Ifeoma! Thank you for putthing this together :). You put a lot of work into this resource, Ifeoma! Thanks for taking the time to do that, especially when there are so many recommitting to a study of God’s word. Hugs to you! What a resource, Ifeoma! Thanks for pulling this all together! This is a great list! Thanks for sharing at Grace & Truth. What a great resource for women! I’m sure it was lots of work but will help so many. I came today via the #GraceandTruth Linkup. Not sure if this counts or not.. but I’m going through the book of Ezekiel on my blog: http://www.anetintime.ca/ Posting two or three times per week. Great list! I love Micah and Donna’s blogs, too. They always encourage my heart! Thank you for doing the digging for us! Happy Saturday, from the Saturday Sharefest Linkup! What an awesome roundup of Bible studies! Awesome collection of studies! Thanks, Ifeoma for sharing with us at #MomentsofHope ! Ifeoma, thank you so much for mentioning my site as one of your Bible studies/devotionals. I’m starting a new series on marriage that I believe will be helpful to anyone interested. Blessings! you asked where you can find my devotionals/bible study materials : http://www.anetintime.ca/search/label/Bible%20Study Or just go to Anetintime.ca and look under faith in the top bar tabs That has more than just my bible studies but is all faith based but the label bible study is the most direct route to JUST my bible studies. Love this list, Ifeoma! I have to bookmark it so I can come back time and again. I love the way you are affirming others by sharing their words. You are a blessing! Great resource list! Thanks for sharing at the Blog and Tell. This looks like a great list, Ifeoma! And thanks so much for including my studies on the list! I have 20 free Bible Studies for women on my website to download and print. Feel free to link to them on your blogs and websites. Hi there! Lots of awesome sounding ones. I’m going to bookmark this to check them out. Really appreciate you gathering together these resources! Do you take suggestions for the list? Thanks for considering and thank you again for the awesome list of free resources! Oh wow, Ifeoma, I am so honored. Thank you so much for adding my site and the kind words you said!